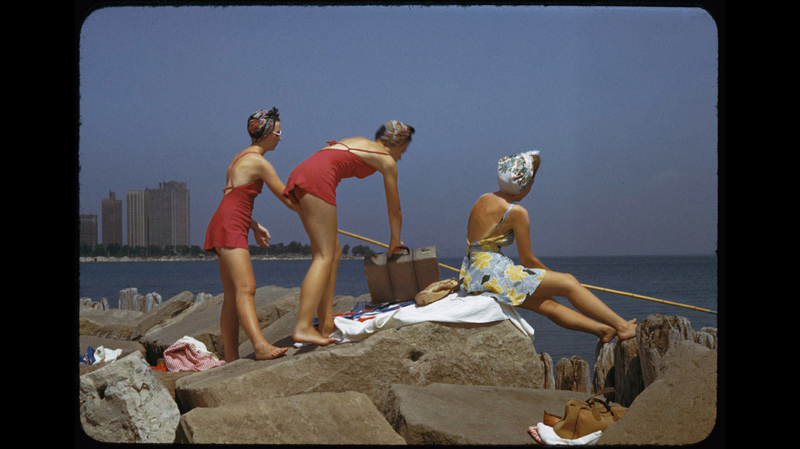 Left: Two women relax with a radio and book at Promontory Point, July 30, 1941. 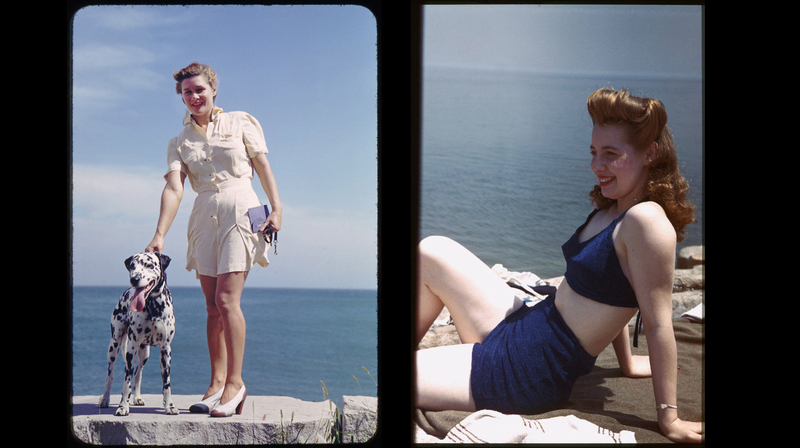 Right: Mary on Promontory Point, September 1944. 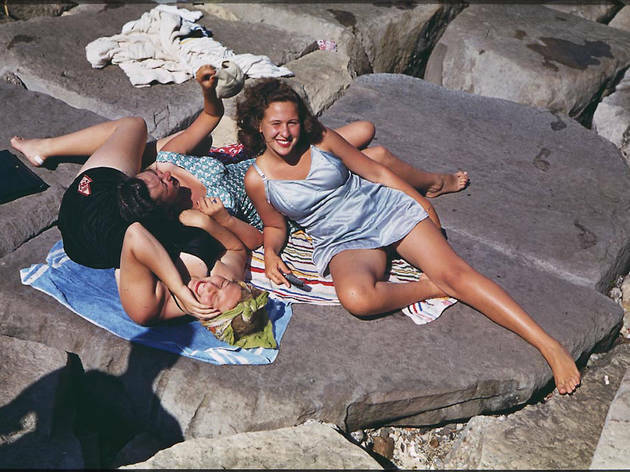 It's summer vacation for for Hyde Park schoolgirls at Promotory Point, June 27, 1941. 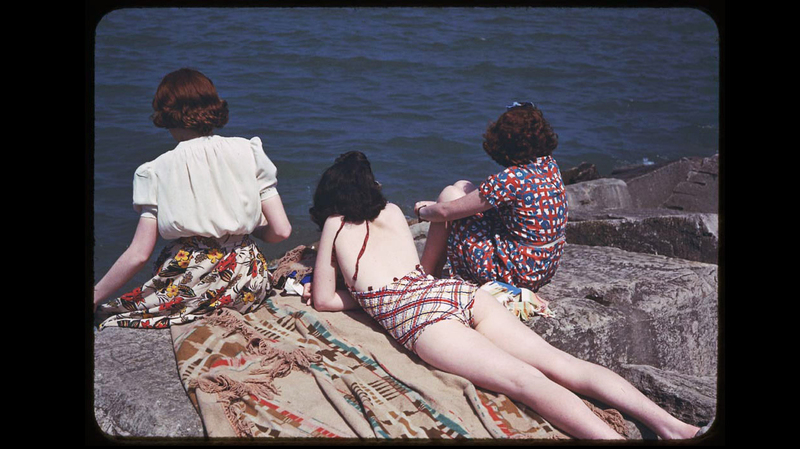 It's summer vacation for Hyde Park schoolgirls at Promotory Point, June 27, 1941. 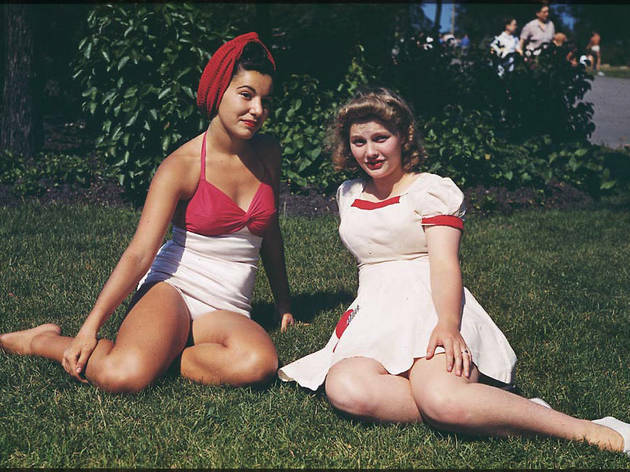 Judy and a friend lounge in the grass at Promontory Point, July 20, 1941. 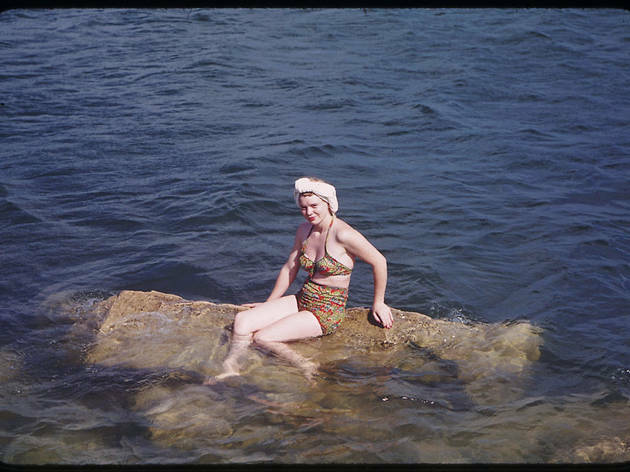 A swimmer poses on a rock off Promontory Point. 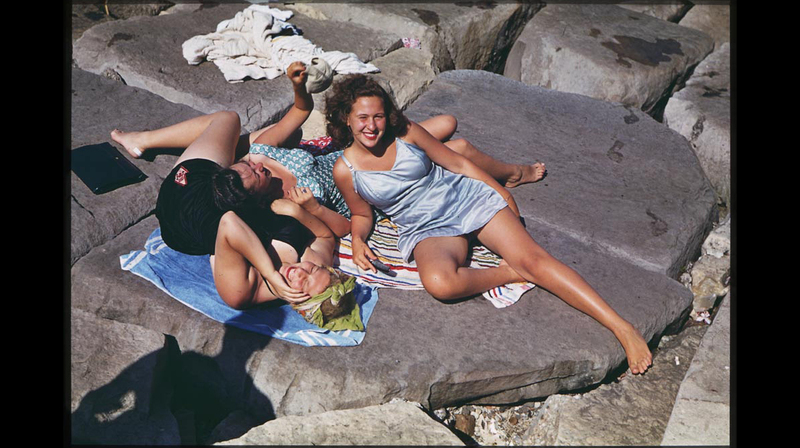 Three girls sit on the rocks at Jackson Park near 67th Street, July 1941. 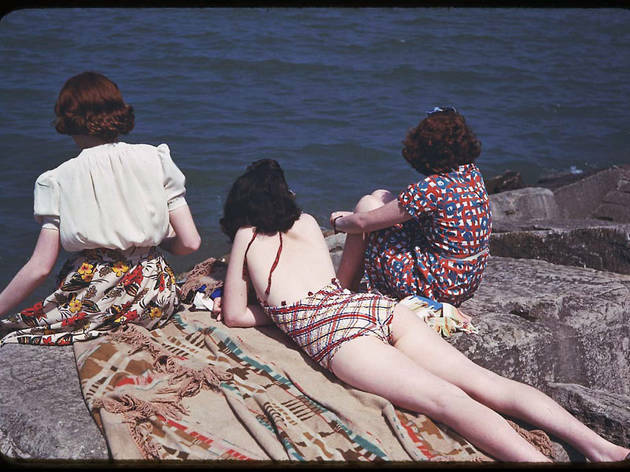 Left: Girl with dalmatian at 55th Street along Promontory Point. 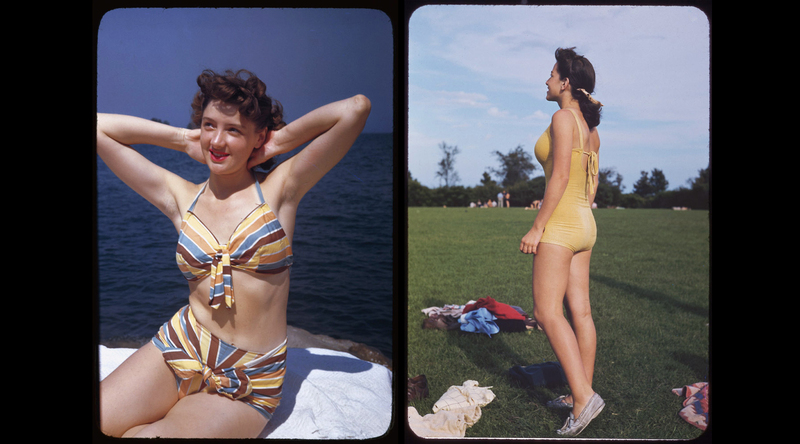 Right: Mary Jane at Promontory Point, June 1944. 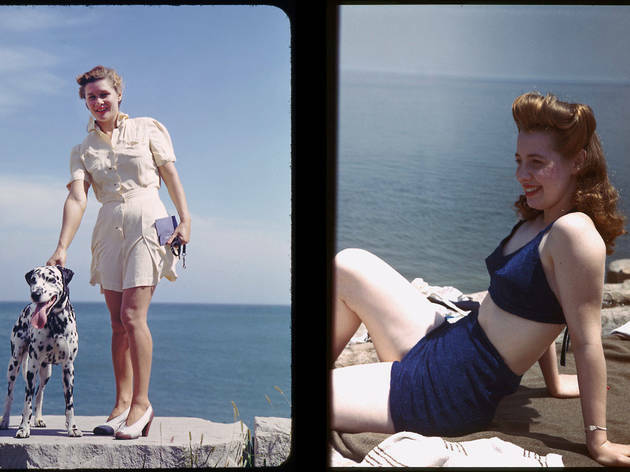 Left: Jo, a United Airlines flight attendant at Promontory Point, September 6, 1945. 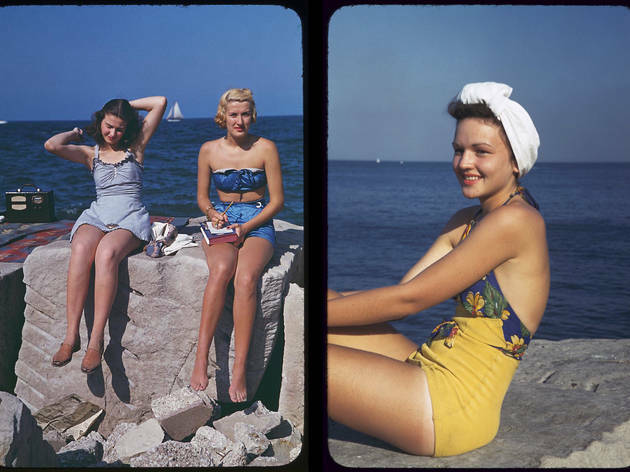 Right: Promontory Point, Sept 7, 1941. 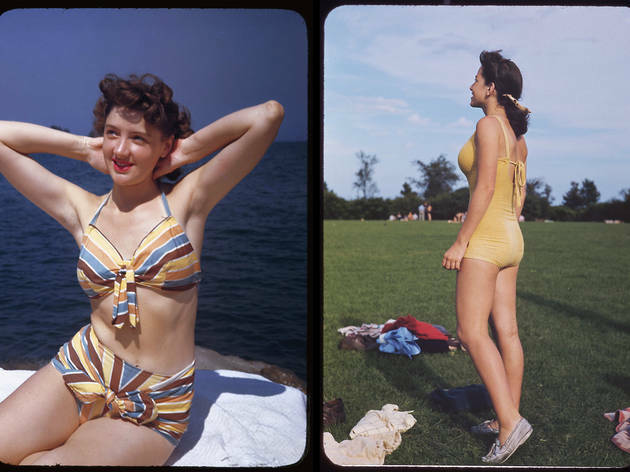 Doris, an American Airlines flight attendant at Promontory Point, June 27, 1941. 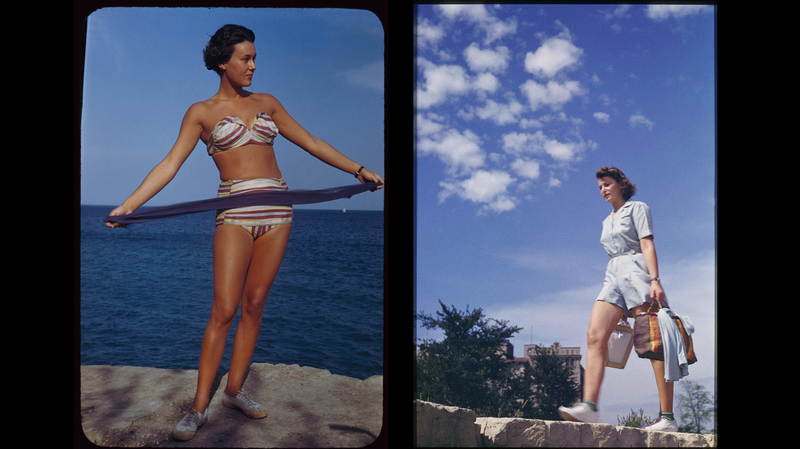 Left: Maria at Promontory Point, Sept 3, 1949. 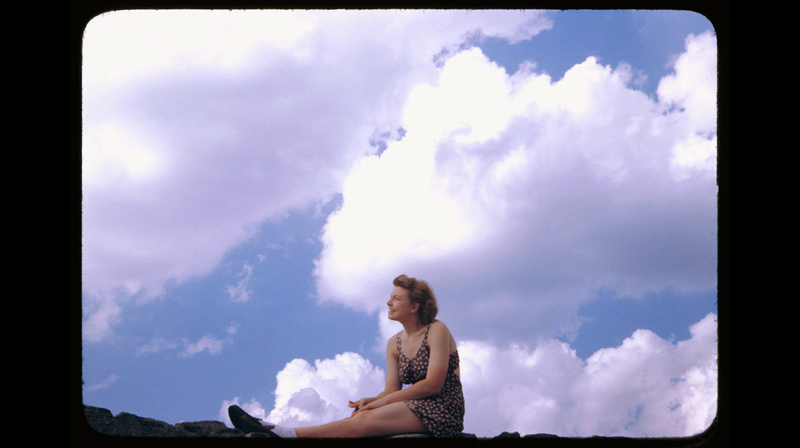 Right: A girl walks atop the Promontory rocks, Aug 24, 1941. 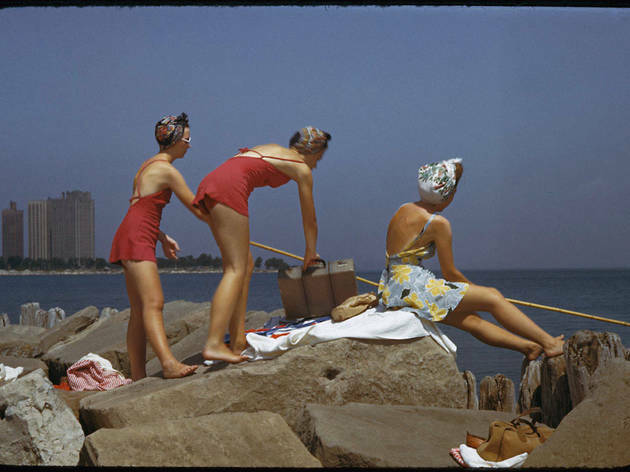 Three girls and a boy form spokes of a wheel at Promontory Point, July 1941. 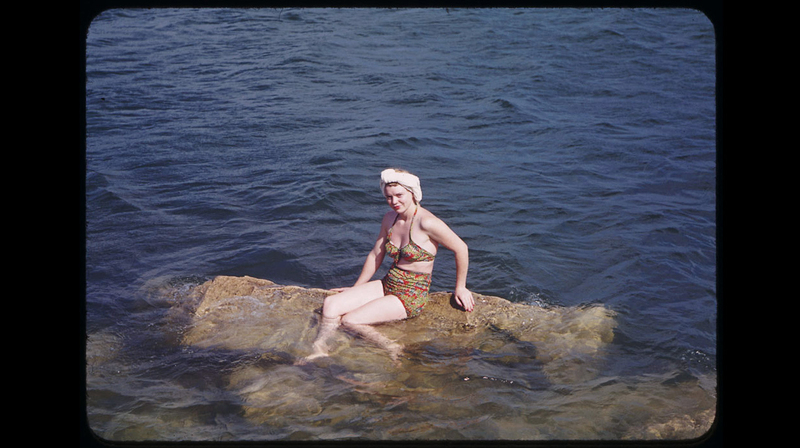 Eunice at Promontory Point, Aug 15, 1942. 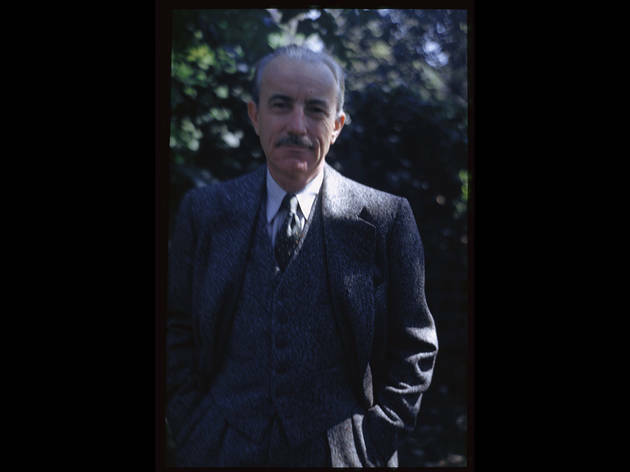 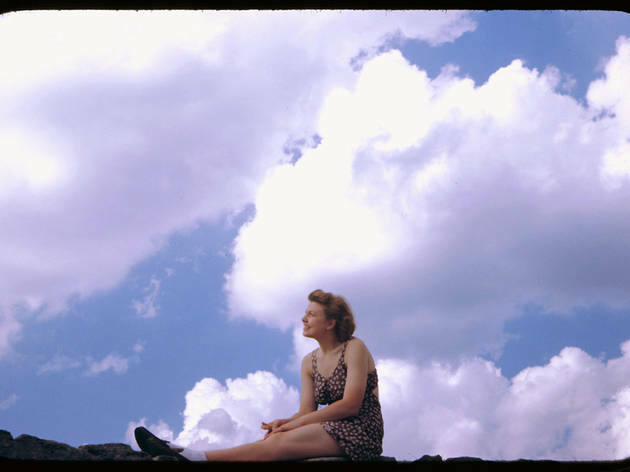 A rare self-portrait of the photographer Charles W. Cushman in September 13, 1949. 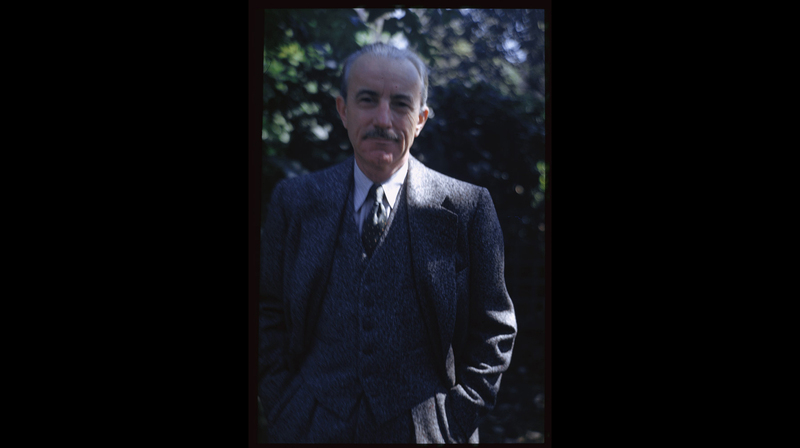 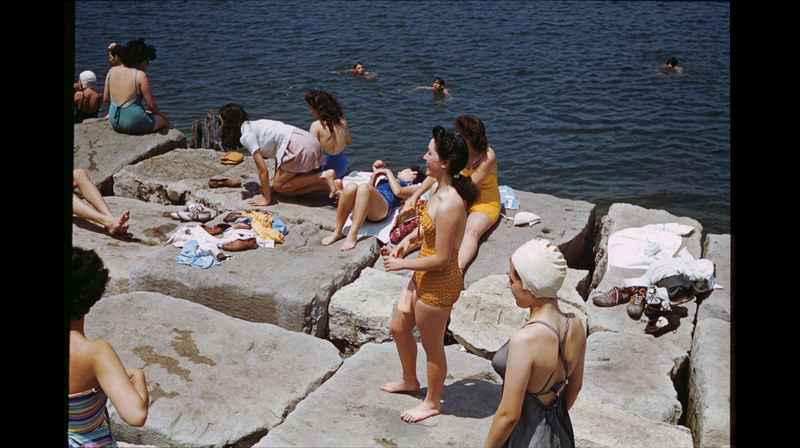 Charles Cushman was an obsessive and meticulous amateur photographer who spent his lifetime diligently documenting the world around him. 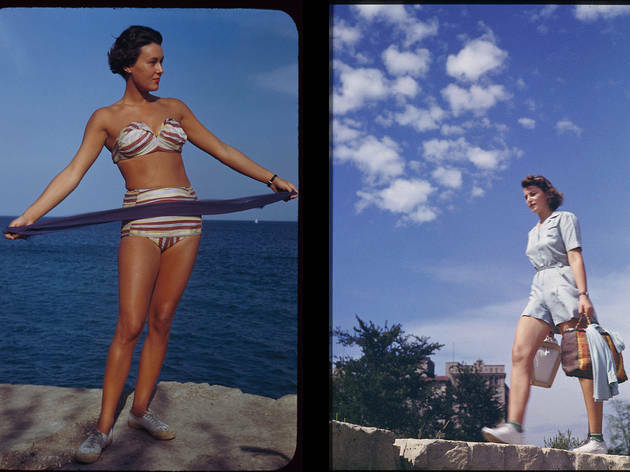 His collection of 14,400 color Kodachrome slides, shot from September 3, 1938 to April 20, 1969, was left to the University of Indiana, where it was painstakingly archived. 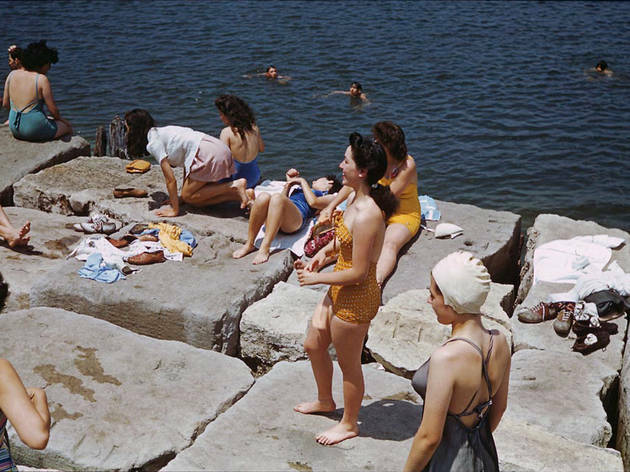 His travel photography was published in the book The Day in Its Color: Charles Cushman's Photographic Journey Through a Vanishing America, but there are thousands more photos to pour through. 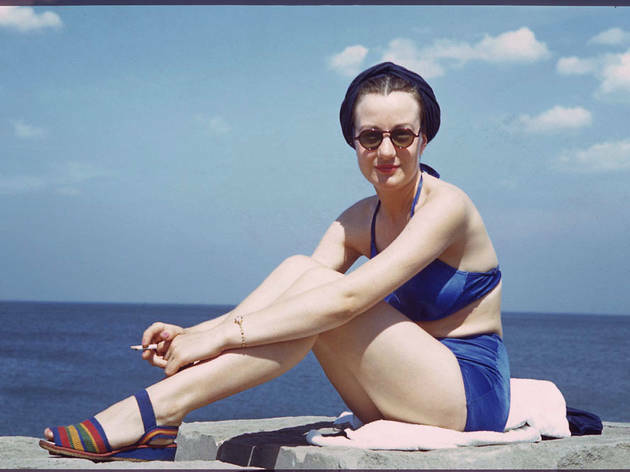 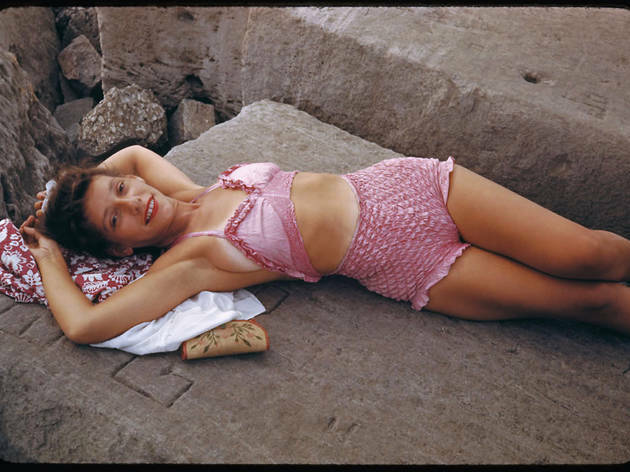 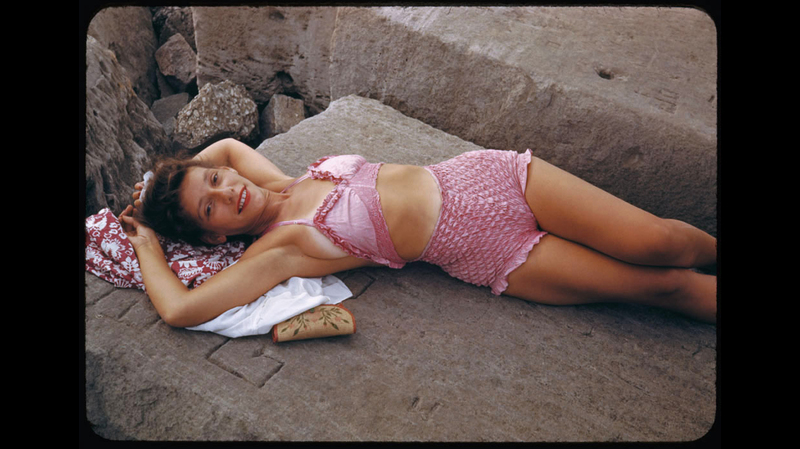 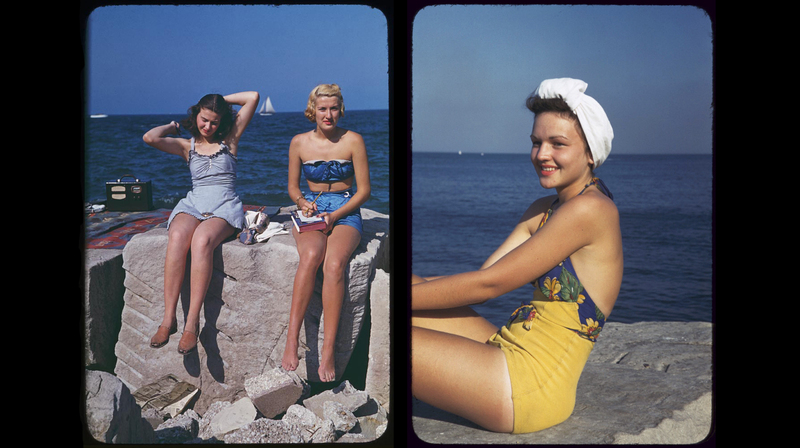 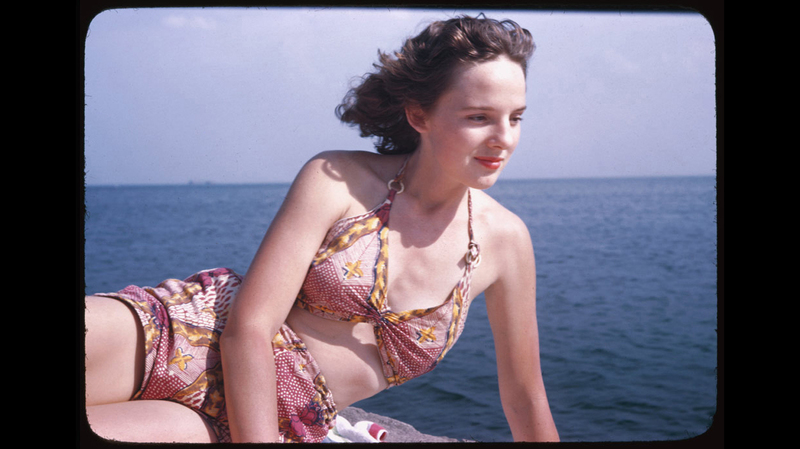 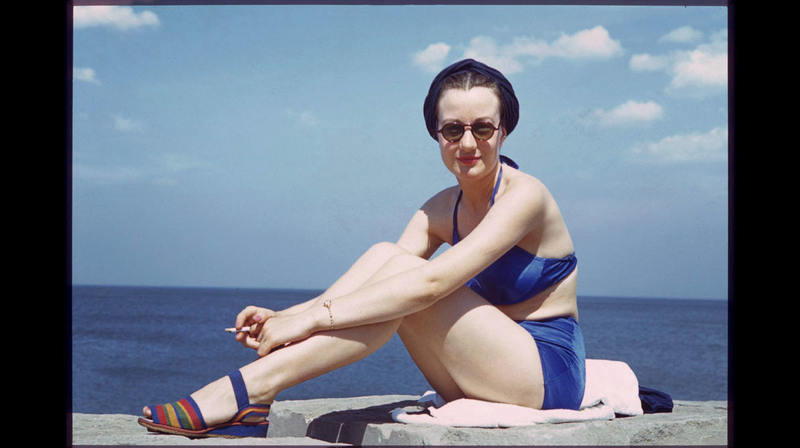 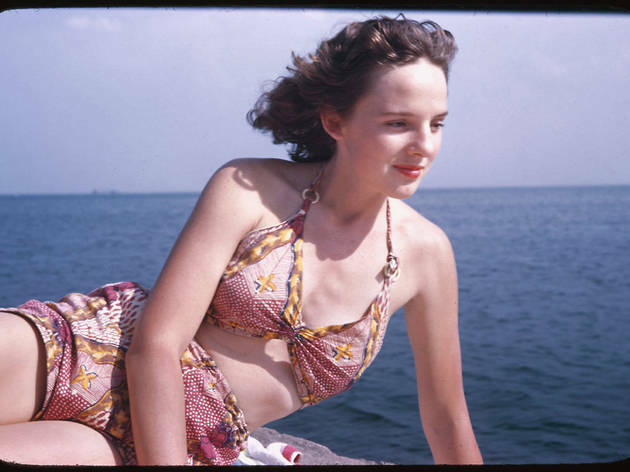 We particularly love the colors in his photos of sunbathing beauties at Hyde Park's Promontory Point, which he shot from 1941–1949. 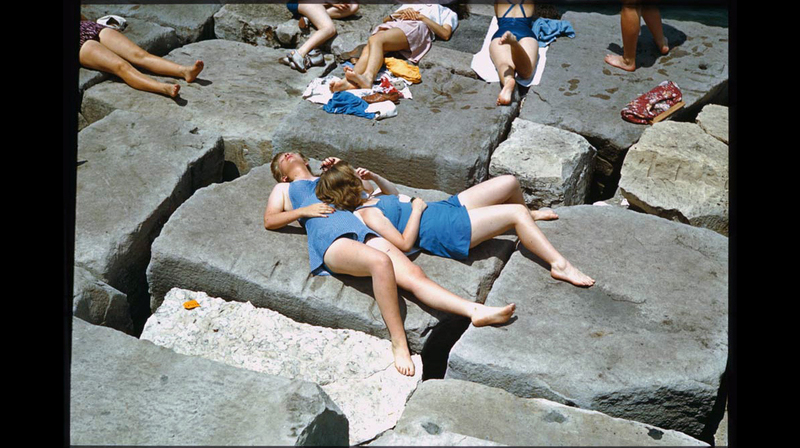 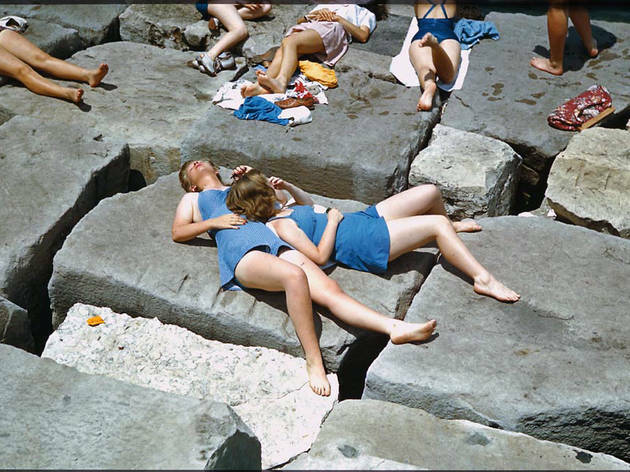 Cushman often pointed his camera at Chicago, photographing everything from steel mills to museums, but with summer upon us we were seduced by his collection of sunbathers.